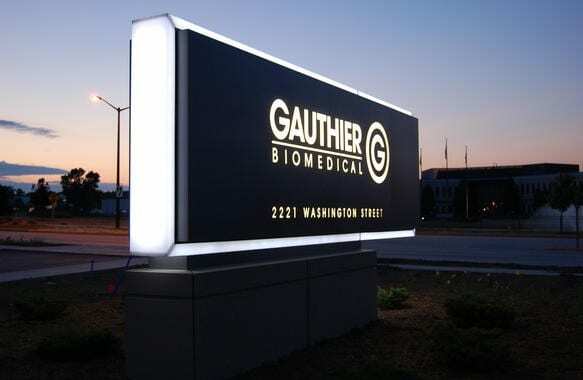 We built and installed a 5’ x 16’ two sided outdoor monument sign mounted on pre-cast concrete base for Gauthier Biomedical, Inc. in Grafton, WI. 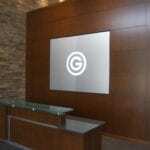 It’s made of an aluminum routed face material that allows the copy to illuminate with an opaque background. 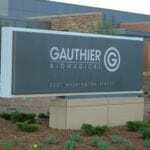 It has a 4” X 16” fully-illuminated perimeter lens. 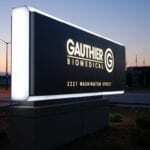 The light source is low voltage LED. We coordinated with Berghammer Construction Corporation on the specifications and they poured the concrete base and put in the electrical placement. Coordination with Berghammer on the install also included landscaping contractors and paving contractors to make sure we weren’t holding up other trades in performing their work or damaging other work that was already completed. 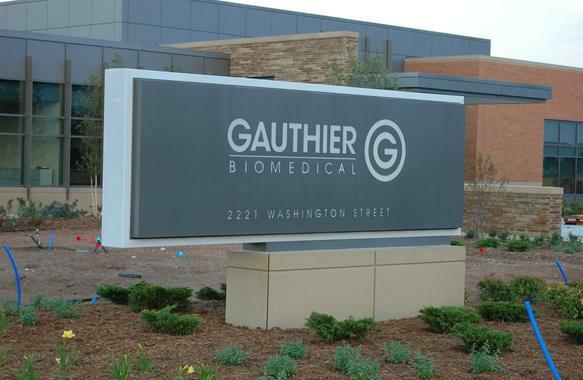 Customers that visit Gauthier Biomedical’s new facility have a great impression of the company even before they come in the front door. 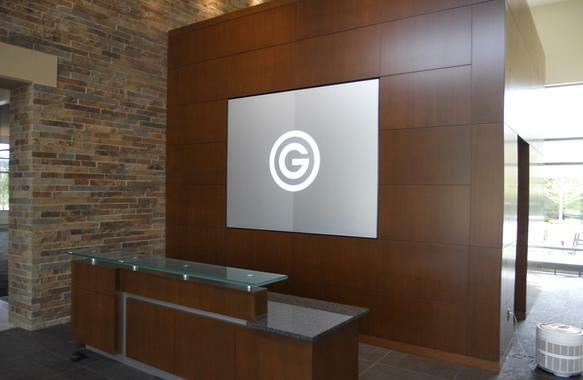 On the inside of the building, we installed a corporate branded sign behind the receptionist desk.